At the conclusion of the 2019 French Elite Nationals, the French Federation announced the names of 3 women and 8 men who will for the French selection for Gwangju. 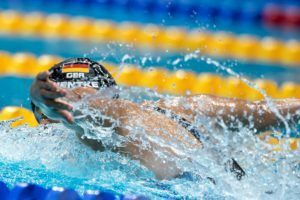 The 29-year old German Hentke was the 2017 World Championship silver medalist in her best event: the 200 fly. Although the 2018 Commonwealth Games are on the horizon, this year’s European Junior Swimming Championships isn’t too much further out, slated for July 4th-8th in Helsinki, Finland. To help Great Britain improve upon its 4th place finish in the overall medal table at the 2017 edition of the Euro Juniors, British Swimming has announced a 30-strong team, a squad which includes an impressive 6 British senior champions. The recent top performers from the British Swimming Championships held in Edinburgh last weekend include Leah Crisp (1500m free), Jacob Peters (100m fly), Freya Anderson (100m free), Tom Dean (200m IM, 400m IM), Lewis Burras (100m free) and Nick Pyle (50m back). Dean had a particularly standout performance in Edinburgh, smashing a new personal best in the 200m IM. Holding off big boys Tim Shuttleworth and Dan Wallace, 17-year-old Dean registered a new career fastest effort of 1:59.88 for the gold, representing the first time he’s been sub-2 minutes in the event. In Netanya last year, Dean won 200m IM gold in 2:01.02, so the teen has already proven he’s capable of crushing that mark en route to a possible European Junior champion title defense come this July. Newcastle’s Emily Large is a big favorite to take her specialty event, the women’s 200m butterfly, after becoming the World Junior Champion last year in Indianapolis. Large won gold in a huge PB of 2:07.74, a mark which would have smashed the winning time of 2:09.41 clocked by Katrine Villesen of Denmark for the win last year at Euro Juniors. 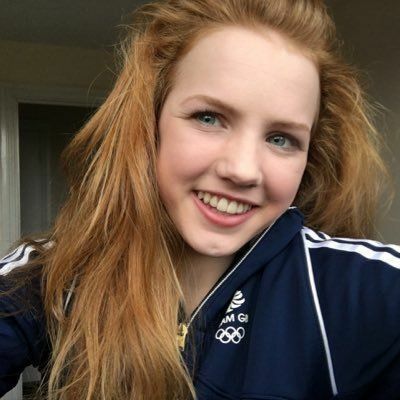 She’ll be joined by another World Junior Champion in Freya Anderson, the Ellesmere Titan who raced in both the World Juniors and World Senior championships last year. Anderson will look to add yet another 100m freestyle accolade to her long list. Just 17, Anderson has already dipped beneath 54 seconds on 2 occasions. Of the squad headed to Helsinki, British Swimming’s Head of Elite Development Tim Jones said, “We are really pleased to be able to select a strong team of 30 swimmers to compete in Helsinki at the start of July. 2018 is an extremely important year for British Swimming; the second year of this Olympic cycle is one of our final opportunities to unearth some new talent ahead of the 2020 Tokyo Games. “In amongst our team, we have been able to name some familiar and experienced junior swimmers who have already successfully begun the transition into the senior ranks. We hope to be able to identify some more hidden gems at this event that can become potent forces on the British Team for many years to come. I suspect we’ll se the best of Freya over summer, rather than in Australia next month. Good exciting squad; lots of medals there.